But CEO "not expecting them to sing from rooftops"
YouView - a future Sky platform? 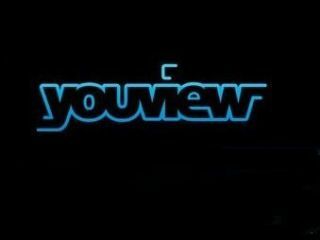 YouView CEO Richard Halton has underlined his hope that Sky and Virgin Media will eventually be an important part of the IPTV service when it arrives next year. Although both Sky and Virgin have been forthright in their annoyance with the entire Project Canvas proposition since its inception and eventual evolution into YouView, neither has fully ruled out involvement in the platform. "I think if you look at Virgin and to a lesser extent Sky, they tend to be pretty frank and open about the proposition," Halton told TechRadar. "I think it's important to see we are talking to a consumer that's rejected Sky and Virgin, so it's actually an opportunity to get their content to audience that wouldn't buy their platform," he continued. "I don't expect to have them singing it from the rooftops, but time will tell." It was only back in May that Sky Player head Griff Parry told TechRadar that he would play a watching brief with YouView – then Canvas. "I said publicly that I wouldn't rule it out," said Parry. "[Sky's] main concern was more to do with the part that the BBC plays. "That's what the Sky Player program is about, and it has always been clear that we see Canvas as one of a number of platforms in this area. "There's been a lot of Canvas rhetoric suggesting that it will be the only solution but it's becoming clear that that's not going to happen. "Canvas…are one of several platforms in a space where so much is going on so it's about prioritising the right things." The prospect of Virgin Media getting involved would seem to have faded rapidly following the sale of its VMtv channels. The cable giant has, however, got a tie up with TiVo coming this year that will see much IPTV functionality brought to its set top boxes.